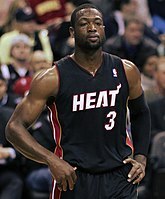 During the 2013���14 season, the Heat wore a variation of their current home uniforms, but with the player's names at the back replaced by their nicknames (e.g. 'King James' for LeBron James). They wore the uniforms for select home games that season. The following season saw improvements for both teams, from Miami's acquisition of Ray Allen and Chris Andersen, to the emergence of Paul George and Lance Stephenson. 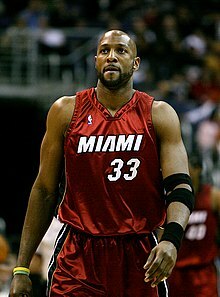 Notably, it was after the Heat lost to the Pacers that they compiled a 27-game winning streak; the last time the Heat lost two in a row in the year were the games against Indiana and Portland. During the waning minutes of Game 6 in the Semifinals between the Pacers and the New York Knicks, the Pacers' fans were chanting "Beat The Heat" as their team beat their old New York rivals. True to form, the Heat and the Pacers met in the Conference Finals of the 2013 NBA Playoffs on May 22, 2013. Several instances of physicality became prominent in the series: Shane Battier received an offensive foul for throwing his knee at Hibbert's midsection; Hibbert claimed that it was intentional dirty play on the part of Battier. Andersen suffered a bloodied nose after colliding with David West. Ian Mahinmi received a retroactive flagrant foul for a grab of James' arm. Norris Cole latched a hand on West's groin area as he tried to slip through West. Wade received a retroactive flagrant foul for hitting Stephenson in the head, another incident that the Pacers, notably Paul George, felt was a dirty play. The Heat survived Game 1 on a James game-winning layup, while the Pacers came back to tie the series at 1–1 after forcing James into two late fourth-quarter turnovers for Game 2. In Game 3, the Heat set a team record for points in a postseason half with 70. It was the first time the Pacers had given up 70 points since 1992. Allen's single turnover was the least ever suffered by the Heat in a first half. Their five total turnovers is tied for the fewest in franchise history. The Game 3 victory marked the first time that an NBA team had won five straight road games by double digits. The Heat won the series 4–3, with a 99–76 win in game 7. In the 2014 NBA Playoffs, after beating the Brooklyn Nets in five games, and the Pacers beating the Washington Wizards in six games, the Heat and the first-seeded Pacers would meet up in the Eastern Conference Finals in a much-anticipated rematch. The Heat would go on to eliminate the Pacers 4–2 games, advancing to their fourth consecutive NBA Finals in the Big Three-era. The Heat stumbled during Game 1 in Indianapolis, falling 96–107. They would win Games 2���4. During Game 5 (which Miami lost 90–93), James struggled, suffering heavy foul trouble and scoring only 7 points, his lowest playoff record. During Game 6 in Miami, the Heat would blow out the Pacers 117–92.